Hi all my friends and lovely followers as you can see I am on a roll with my Christmas cards, on this one I have used Kraft Card stock, DP from Bearlymine Designs mounted onto gold matt card and finished off with a little glitter, the stamp is from Kanban coloured with promarkers and mounted on to a die-cut oval, I have also added the die-cut ponsiettia and Xmas. 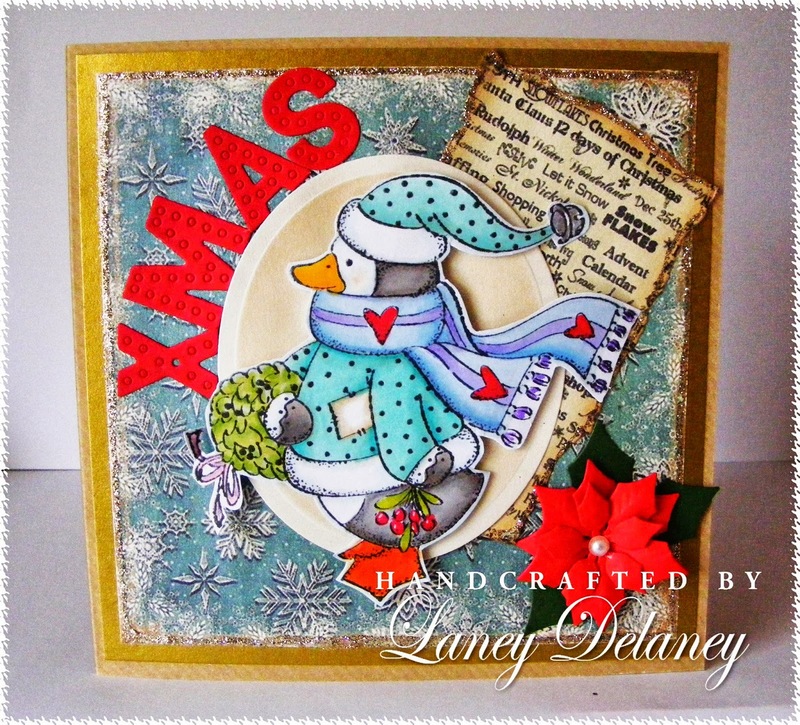 This is one cute penguin Laney and I like the bright colours. 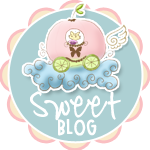 Thanks for joining us at Christmas at Sweet Stampin' and I hope you'll join us again.